Friday was another nice day here and we had decided to go for a nice walk along the coast. 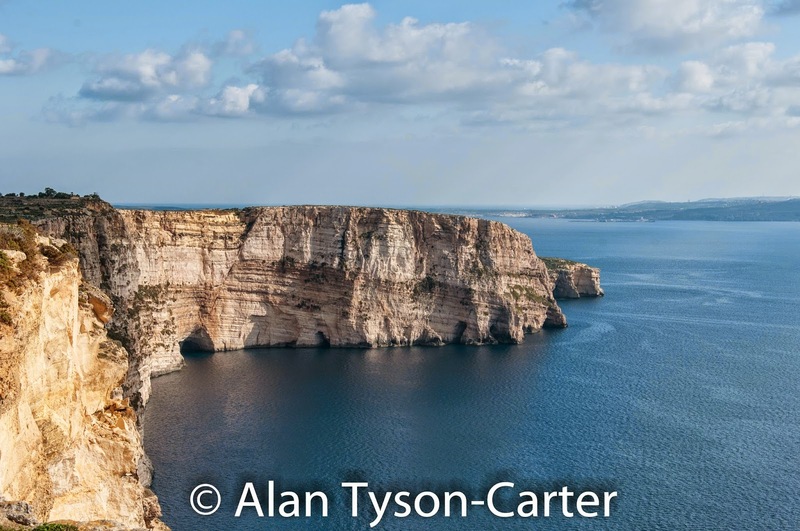 First we walked around the headland into Xlendi, where Alan took a few photos and then we reversed our course and walked along the cliff towards the famous scenic Ta’ Cenc Cliffs. 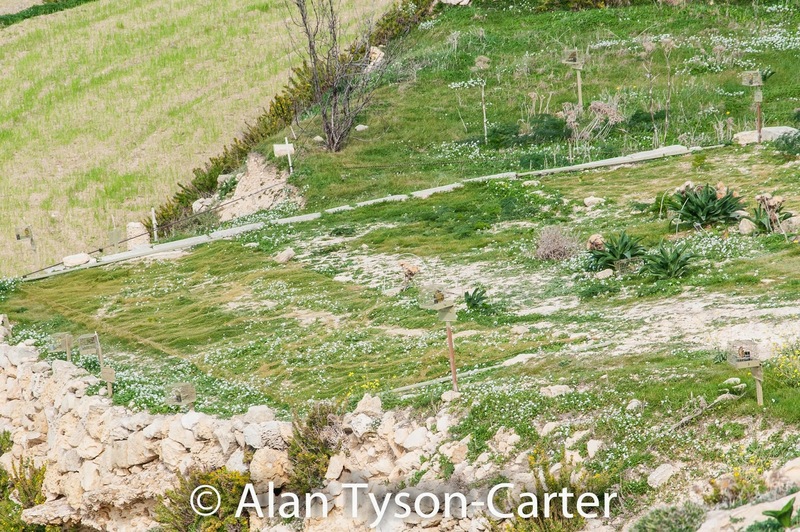 Most of the land atop the cliffs is semi-agricultural. That is to say, there are small plots some of which are cultivated, but the majority is given over to catching and shooting small song birds! Shooting stands in the form of small stone huts have been created and as luck would have it many of them were occupied. The men had placed around their small plots, tiny (approx. 20cm square) cages with song birds in them. Mainly they seemed to be finches, but we noticed sparrows and starlings as well. These captive birds were singing their hearts out it seemed to attract their fellows to come and see what was up. On the ground were placed nets, presumably to catch the birds. 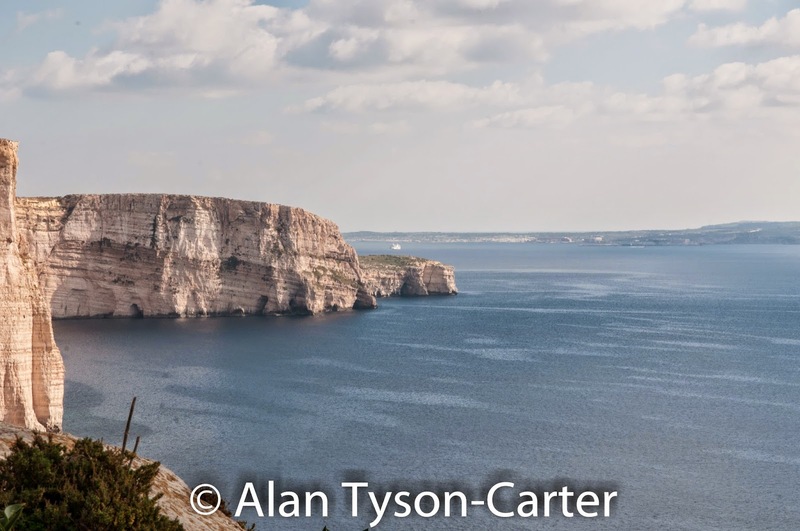 At one place Alan was admonished from taking photographs by a very large angry man. 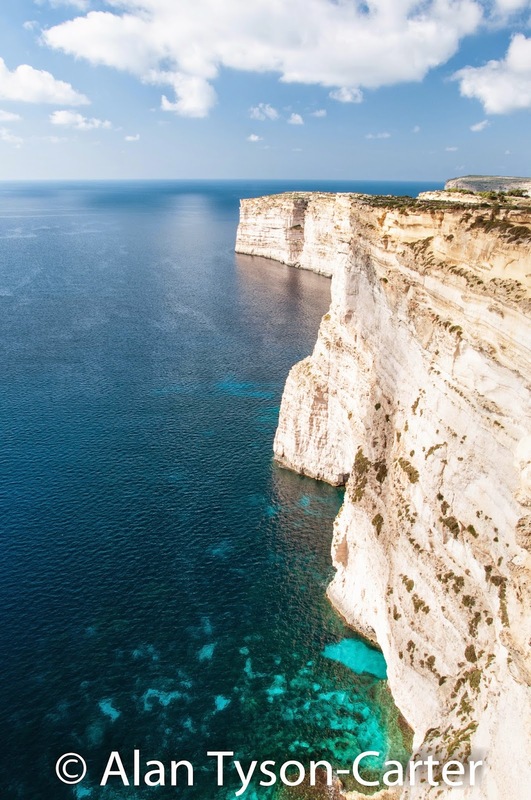 Clearly they were engaged in something illegal, yet further along the cliffs we came across two policemen who had not stopped the goings on. Sad. 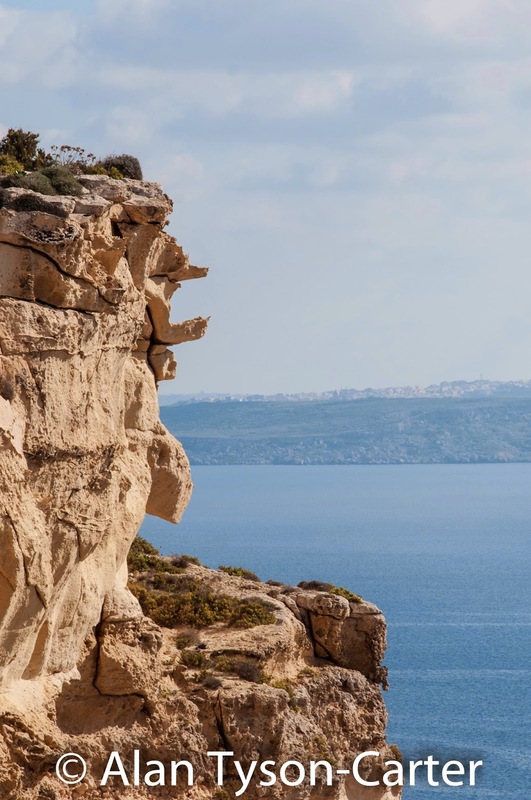 Can you see the Bear in the rock pointing out Malta? 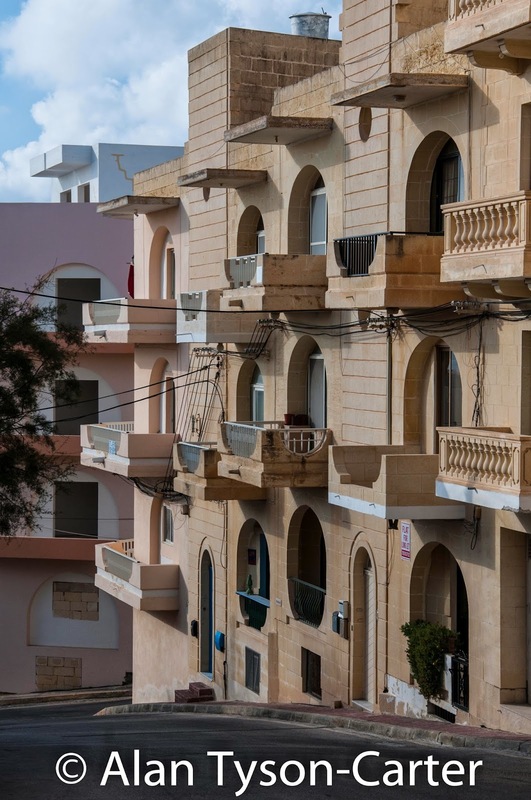 Our block of flats, the balcony with the white square on it is ours. 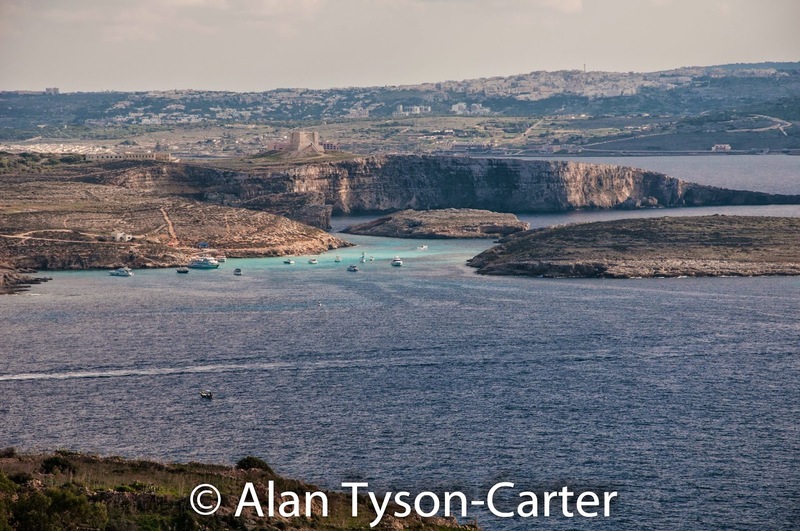 Having walked to the top of the Ta’ Cenc cliffs, from where we could see Comino and Malta we walked into the village of Sannat for lunch. 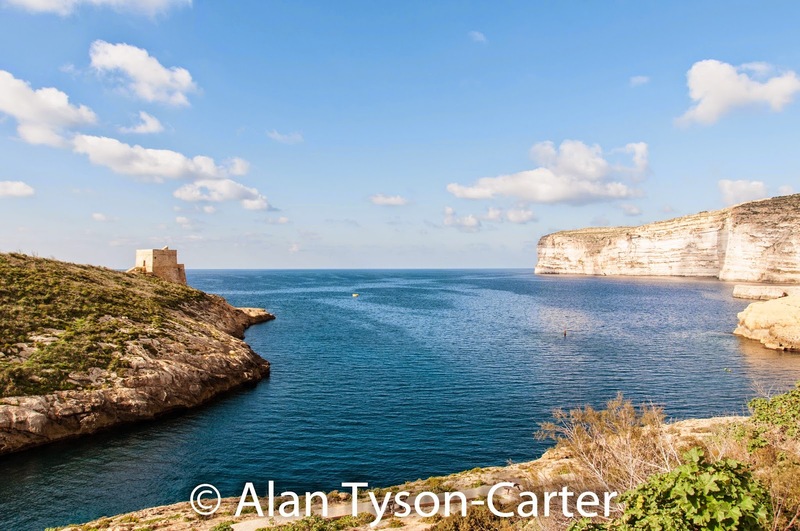 After lunch we walked back to Xlendi along the main roads, Alan never liking to go back the way he has come!! Back in our flat we had tea and a siesta before it was time to shower and change to go out again, though we were not invited. A had obtained tickets for Alan to join her in going to a Musical and Literary Evening to celebrate the Feast of St Cecilia, the patron saint of music. This was held in a medieval chapel also dedicated to St Cecilia. The instruments that played the various pieces in a duet with a piano, were a trumpet, a flute, a Baritone horn and a violin. A soprano and a young treble provided the voices for the operatic parts. 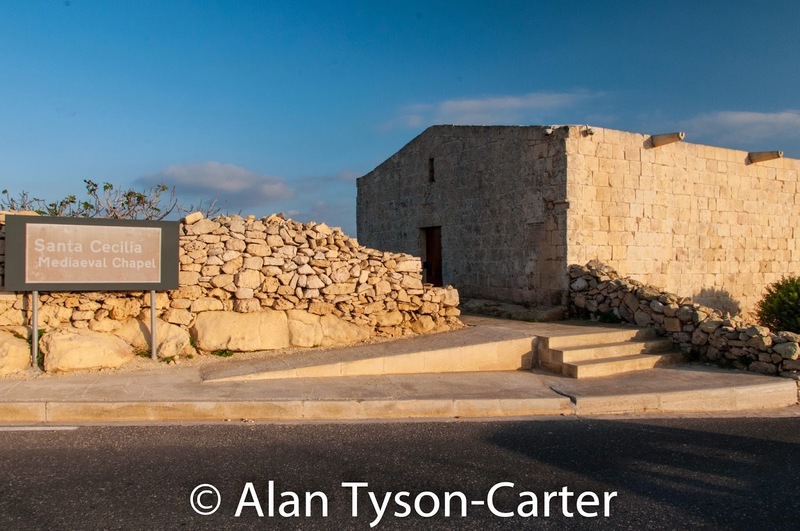 Poems in Maltese were read out too. 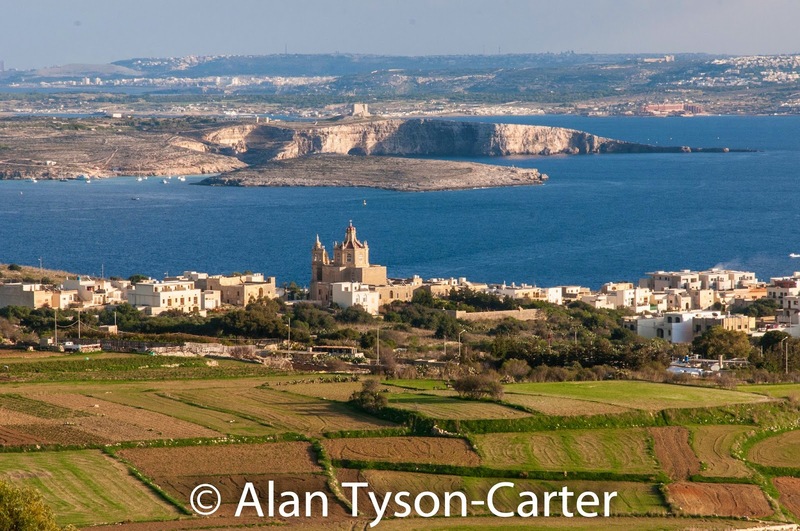 Alan was pleasantly surprised with the wealth of talent Gozo had, for it was a very professional evening’s classical entertainment, with music from Bach to Purcell and Bernstein. A and Alan went out for a meal thereafter. A wonderful end to a really good day he said. Saturday A had a lace making class to go to, so the humans had agree to meet in Rabat/Victoria for lunch. Alan took the morning easy and so after a late start we all walked from Xlendi to Rabat, Alan taking pictures along the way. 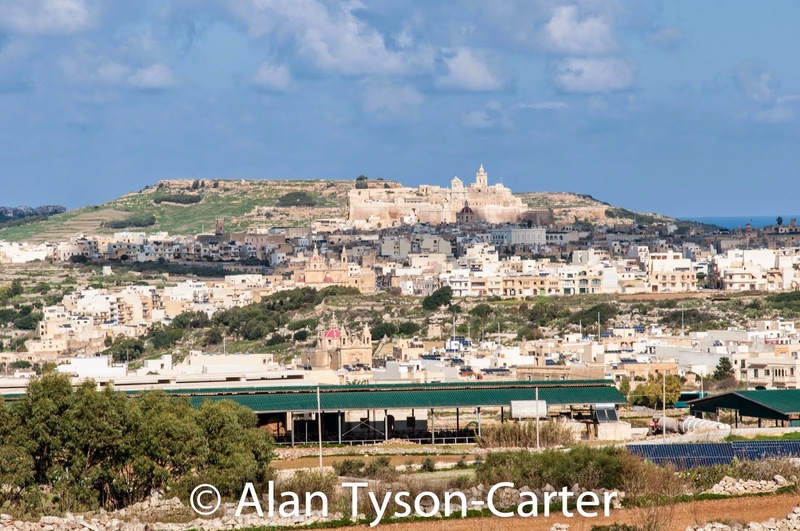 A took us to Xerri IL Bukket where we had a lovely view over Comino to Malta. We sat on a terrace and looked at the boats with all the grockles in the Blue Lagoon. 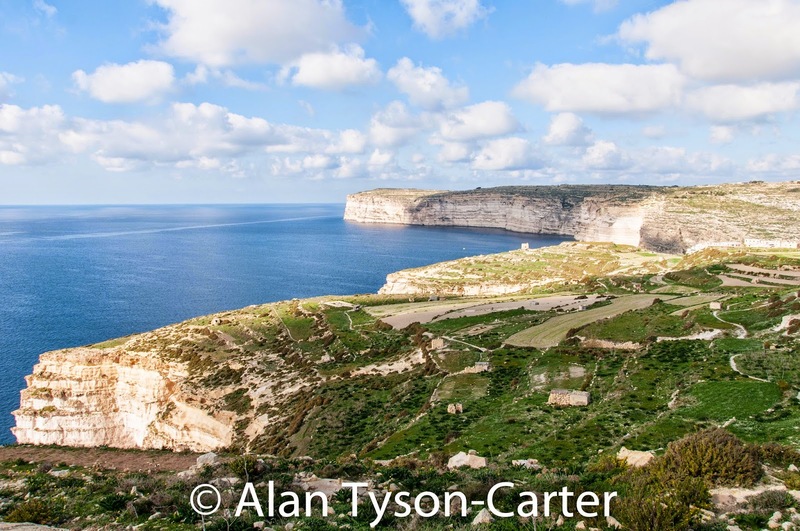 After lunch A took us for a drive around and showed us a few more of Gozo’s highlights. We even sat in a traffic jam for a bit and this caused the humans to decide to call it a day for the sight seeing. A took us back to our flat where we sat on the balcony to watch the setting sun. Suddenly Alan’s tummy did a rumble and he rushed off to the loo, getting there just in time he said. He sat there so long he missed the sunset. It must have been the tuna salad lunch! He took something for it and went to bed for a nap in the hope it would get better. 15 minutes later he was back on the loo!! He rang A from his bed about 18:10hrs to say there was no way he could take her out to dinner this evening and they would talk again in the morning. Alan stayed in bed reading and was fast asleep by 21:00hrs. This morning Sunday, after a good night’s sleep we were up early. Alan made himself a boiled egg and a piece of toast for breakfast. He did some washing which he hung up on the balcony to dry and then worked on his photos. A came round for morning coffee and brought Alan a much needed loo roll. He had decided to stay near the flat for the day, but hoped he would be well enough to take A to dinner this evening. A left to go and play scrabble with some friends, a regular Sunday afternoon occurrence apparently. We wished her luck.